Once a week we highlight some unique and useful functionality provided by the People Inc. system and send out a related 'tip'. These tips are often based on a support call that we took during the week. Our aim is to help customers get more from using their People Inc. system. If you do not receive these tips but would like to, please contact the People Inc. helpdesk and ask to be added to the mailing list. It is possible to customise the styling used by the People Inc. Employee Self-Service module? This is usually done to reflect your corporate brand, or simply to give the ESS a clean fresh appearance. In addition, the content and layout of the ESS home page can also be customised. Different sections can be added (or hidden) and the items displayed within each section can also be changed. Access profiles are used to control the information available to employees or to managers; so these groups of users can be given a different ESS home page. You probably already use the letter generation feature in People Inc. 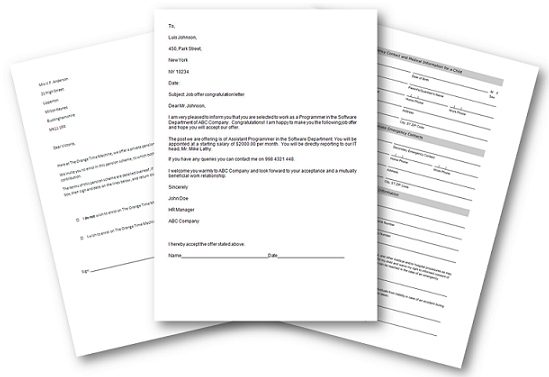 This creates employee letters based on a library of letter templates held within your system. But did you know that when you generate a letter, you can attach the documents to employee records for future reference? By selecting 'Attach Generated Document' when you send a letter from People Inc. you can attach it as a Word document to the employee's record. When you send a letter to a group of people, the system automatically attaches individual documents to each employee record, saving you time. The People Inc. screens enable you to record and manage comprehensive employee information, but there are often areas of the system that are not needed. Users can make their system easier to use (and nicer to look at) by hiding the parts of the People Inc. screens that they do not use. Hiding areas of a screen is done using the Screen Designer. Using this tool it is possible to specify whether or not a particular element of a screen is visible when the user logs in. Note that it is possible to specify those users who have access to the Screen Designer, and those who do not. This enables an organisation to control who can update the layout and content of screens. Screens are usually selected using one of the short-cuts on the left-hand side of the screen. it is possible to change this list so that it only displays short-cuts for screens that you regularly use (and these can be presented in any order). These links are grouped into sections (short-cut sheets). You can have any number of sections, and add links to screen as required to each of these. This is a user-preference; the entries you select will not affect the way other users see the list. Simply right-click to manage the list of short-cuts shown when you start People Inc.
Sending e-Mail from People Inc.
Did you know that it is possible to send e-mail directly from your People Inc. system? To do this, simply double-click on an employee's e-mail address. This is useful when you are working within the system and want to send a quick message to an employee. Depending on your e-mail settings, the message will be sent via your desktop e-mail system (Outlook), or direct to the e-mail server. Note that it is also possible to set up e-mail templates (designed for a specific purpose) and use these to send e-mail to individuals or groups of employees. Did you know that it is possible to open more than one screen within People Inc. simultaneously? For example you can have two employee records open at the same time. By opening a new tab, you can refer to information in another screen or another record without having to close the record you are working on. Furthermore, if you have a multi-user system, it is possible to log into People Inc. more than once (run two copies of the system at the same time). This provides you with even more flexibility. Individual users can specify the information they want to see when they start People Inc. This can be done by choosing which screen is displayed when the system starts. They can also selecting a default filter and sort order. I recommend that users select the screen they use most frequently as their start-up screen. The most common choices are the Action List (displaying all their actions for this week) and the Employees screens (listing active employees). If you manage training, why not auto-start the Courses screen? Recruiters could choose to auto-start the Vacancies screen. The People Inc. report writer enables users to change the look and feel of their reports. It is possible to adopt your house style and even add your company logo to report templates. When People Inc. reports are used to generate regular monthly reporting (for example, an analysis of KPIs) it is important to ensure that the style is consistent with other documents that are provided as part of the reporting information. 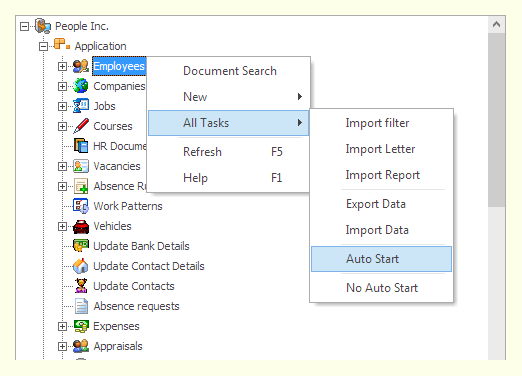 It is quick and easy to import company logos, and where users manage HR information for more than one company, the logo can be stored within the system and automatically loaded into reports. The People Inc. action list can help to ensure that you never miss an important date, event or activity. The action list provides a quick and easy way to manage reminders for HR-related activities. 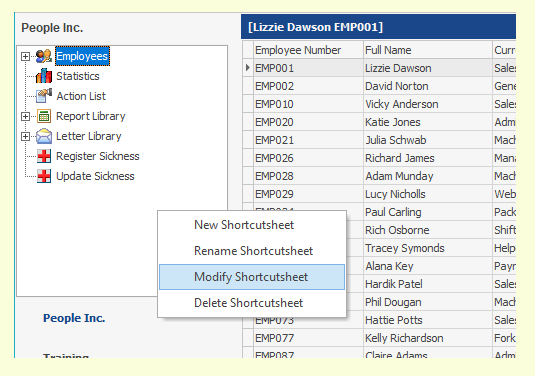 List entries can be added by the user, or automatically created by the system based on a date recorded within an employee's record. For example, the system can provide reminders when an employee reaches the end of their probation, or when a qualification expires. 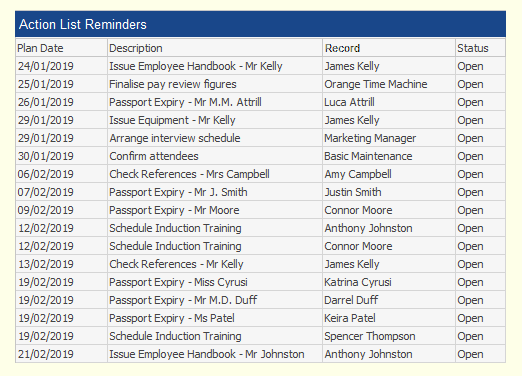 Reminders are displayed automatically, when the user logs in to the system, and entries are saved in a full history (against individual employee record) once they have been actioned. Sometimes you do not want to view everything at once, so users can limit the records they see on the screen using filters and searches. Information displayed on the screens is automatically filtered when the screen is first opened; most users will just show current employees in the employee screen. But filters can do much more. For example, if a users is responsible for the employees who work at a particular location, a filter could be used to list just these people. It is of course possible to change the filter. 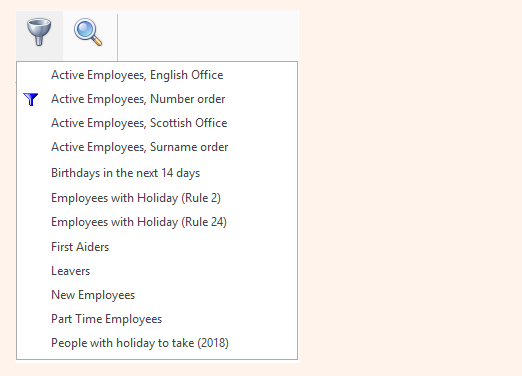 To view leavers, a user would select a different filter in the Employee screen, and to select all employees (current and those who have left) they would use yet another filter. 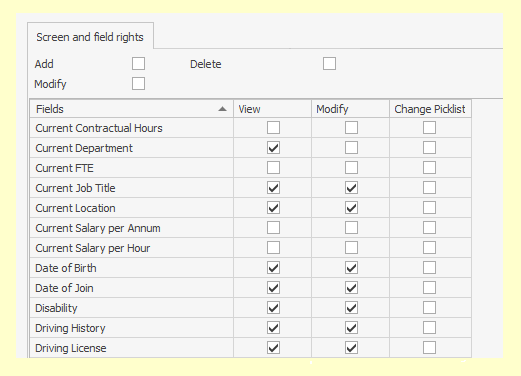 Once a filter is selected, it is possible to search for records within the list. There are many many report templates available as free downloads from the Resources area of this website. 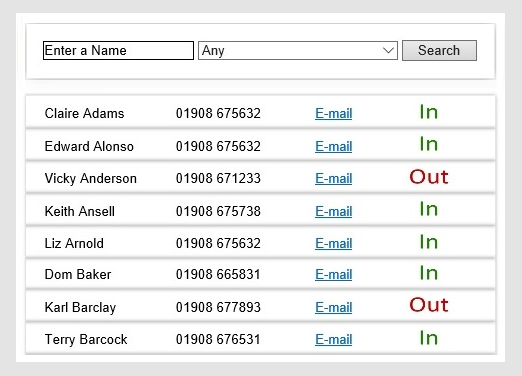 These can be added to your People Inc. system and used to generate reports for distribution within your organisation. 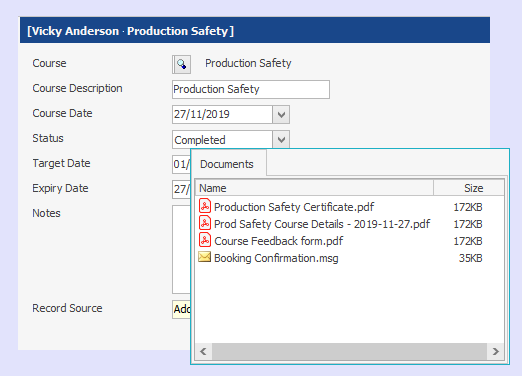 Report templates can either be downloaded and imported manually (you will need to log in to the Resources area to do this), or they can be imported directly into your People Inc. system using the Report Browser plug-in. Click here for more information about the Report Browser plug-in. It is possible to generate organisation charts using the information recorded within People Inc. These charts are generated using a plug-in (available as a free download). Having identified who reports to who, the chart is created with one click of your mouse. Organisation Charts generated by the system include details of the employee's current position; employees are linked to their manager automatically (using the reports-to information from their current job histoy record). 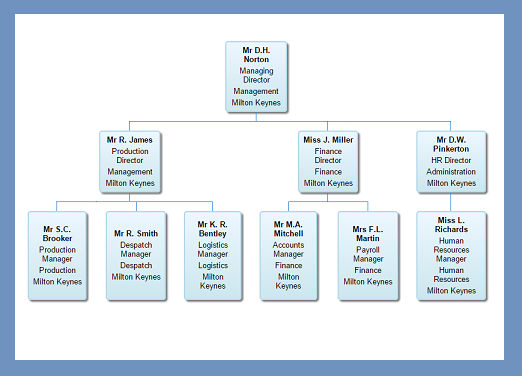 Click here for more information about the Organisation Chart plug-in. 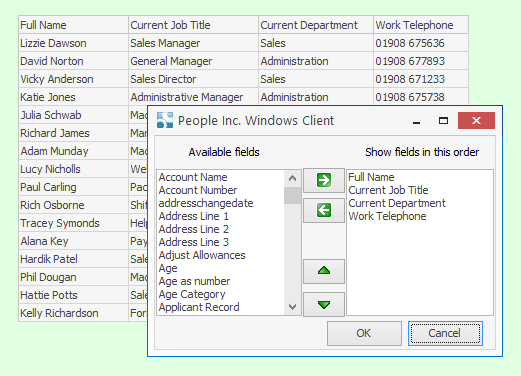 The current version of People Inc. enables users to select different styles (or 'skins'). This is done from one of the small buttons in the top left-hand corner of the screen. This is not really a tip (I know, I know), but I think a change is always a good thing. Loading this Christmas theme changes the screen background and adds snowmen, snowflakes and ribbons here and there. Who is in work over Christmas? 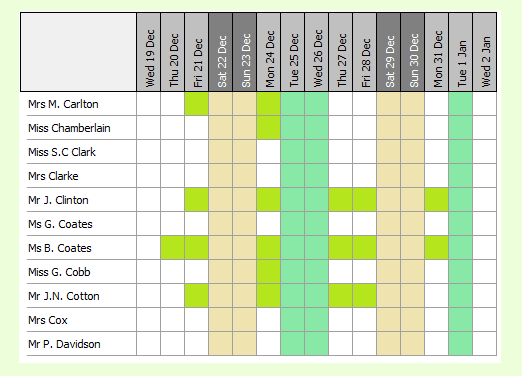 Most people will take some additional holiday over the festive period. sometimes it is difficult to find out who is at work, and who is not. 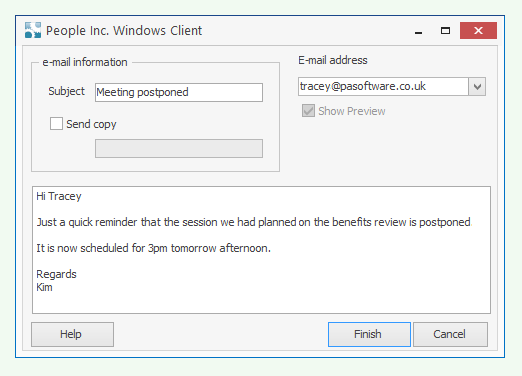 The People Inc. absence viewer enables users to select a range of dates and see a summary of holiday booked. 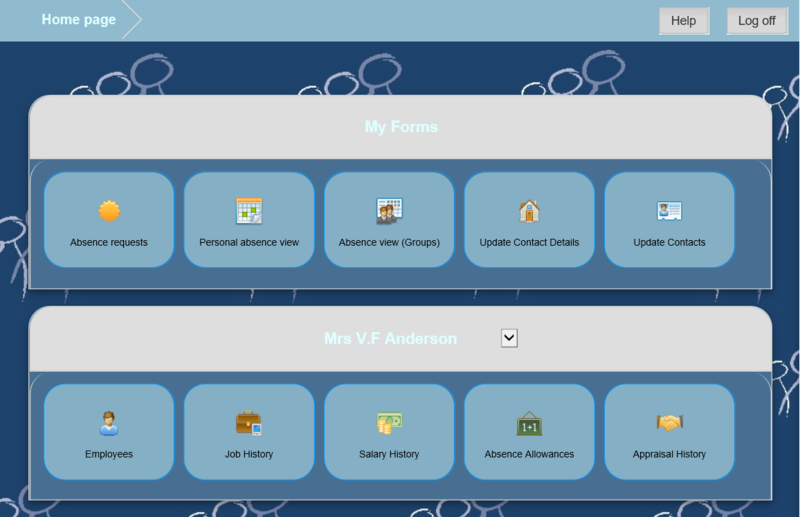 All staff working at organisations who have the Employee Self-Service module will be able to see this absence viewer, but the plug-in is also available to users via the standard People Inc. HR module. 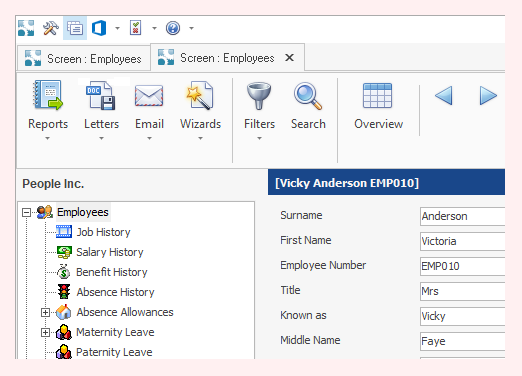 Organisations who use People Inc. time can use that systems Roster Planning screen or the Status Console to see if staff are available. Another way to check availability. Another way to work out if staff are in work over the festive period is to check the People Inc. Employee Directory. 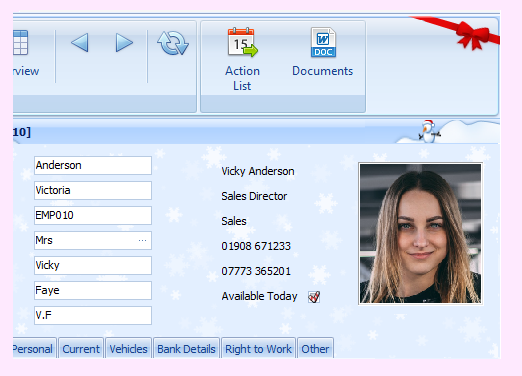 Not only does the Employee Directory make employee contact details available, this add-on also provides an indication of availability. This is based on an individual's work pattern and absence records as held within the system. Employees can update their availability information if necessary. 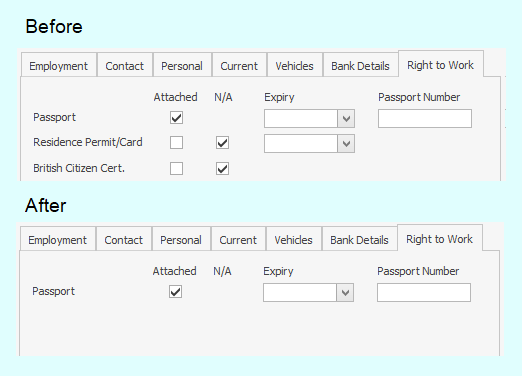 Clicking on a row will display more information about that employee (and the information displayed can include most items of data from within the system, including their photograph. Are your absence allowances set up ready for next year? If you have not yet done so, you should now create your 2019 holiday allowances. How? 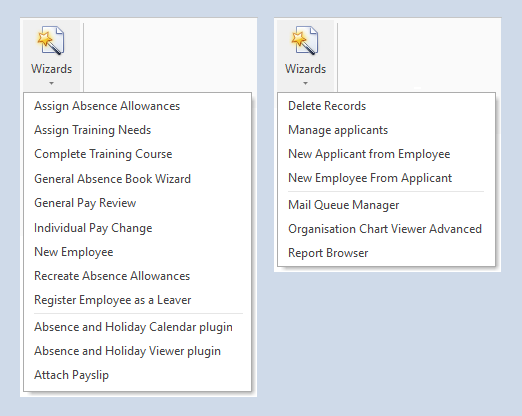 Using the Recreate Absence Allowance wizard. 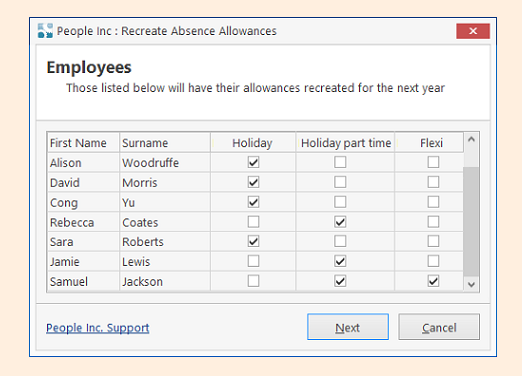 The Recreate Absence Allowance wizard looks at the holiday allowances for the current year and give you the opportunity to create similar entries for staff for the coming year. The whole exercise only takes a few moments. Click here for more information. While I am on the topic of holidays and absence, before the end of the year you should also make sure you have added 2019 bank holidays. There are currently around 30 or 40 Wizards and Plug-ins available for People Inc. Most users will not need them all. For example, somebody responsible for recruitment might only use the 3 recruitment-related wizards plus the Organisation Chart plug-in. It is possible for each user to customise the list of Wizards and Plug-ins they see using their personal preferences. These are accessed using one of the small buttons at the top of the screen (the button with a tick and a cross on it). Displaying a list of just the Wizards a user needs will make the system easier to use. Note that it is also possible for administrators to limit access to Wizards and Plug-ins by customising the user's access profile. Something similar comes up occasionally in helpdesk calls from users: how do I find some text when I am not 100% sure what I am looking for? The answer is, you use a wild-card search. If you put a percentage symbol before and after a string of characters in a search, the system will look for records that have that string somewhere (anywhere) in the field you are searching. For example, if you were to search for: Job Title = %Manager% will list all the job titles that include the word 'Manager'. You can specify list items for a screen. 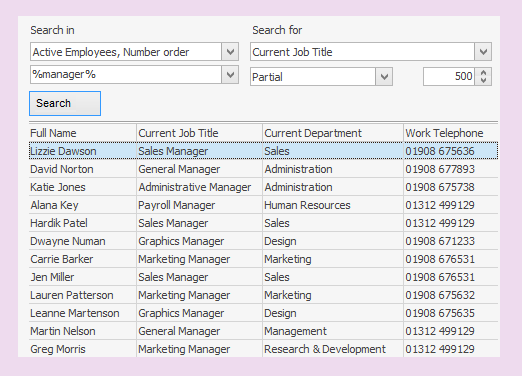 When you look at the employee screen you can view the entries individually, or display them in a list. It is possible to specify the columns in the list (and this is true on any screen). To change the order of the records (or limit the records that you view in some way) you need to use the filters defined for the screen. The access profiles within the system make it is possible to hide confidential information from People Inc. users. For example, if users should not be able to see employee salaries, it is possible to hide them. This is done by simply un-ticking the option for that piece of information within their access profile. Note that access profiles can be assigned to a group of users. Making a change to the access profile will then update the access available to all the users in the group. When attaching documents, it is important to understand exactly how attachments are managed. Files attached to historical records are not attached to the screen in question; they are added to individual history records. For example, a sick note will be attached to a particular sickness record, a training certificate will be attached to an individual training record. So simply clicking on a history screen and selecting 'Documents' will not show all of the attachments for all of the history records. Click here to access the archive of Friday Tips.